"One of the key benefits of the hybrid powertrain is the C-HR’s silent emission-free running at idle and in slow moving traffic." There is certainly no shortage of choice in the small-SUV segment at the moment, giving any newcomer to the market a tough battle. 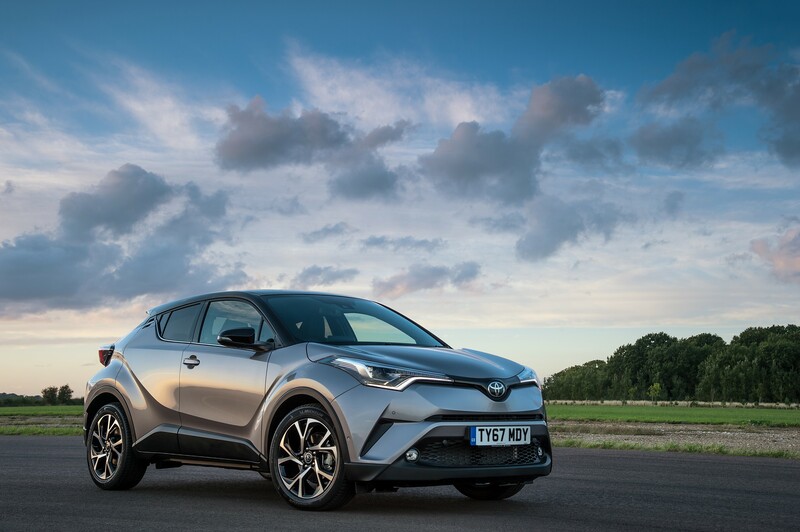 The Toyota C-HR offers fleet customers a hybrid powertrain and stand-out styling. At its European launch last year we were more impressed by the 1.2-litre turbo petrol version of the C-HR but the Hybrid is a more attractive fleet choice with CO2 emissions of 86g/km. With a P11D price of £27,970, the well-specced C-HR Hybrid Excel will cost company car drivers around £88 per month (20% taxpayer) in benefit-in-kind tax. In return, they’ll get 122PS powering the front wheels and a CVT automatic transmission. Cheaper trim variants are available, with the 'Icon' starting at £24,350. All models are well equipped, with the Excel featuring heated leather seats, keyless entry and parking sensors. One of the key benefits of the hybrid powertrain is the C-HR’s silent emission-free running at idle and in slow moving traffic. 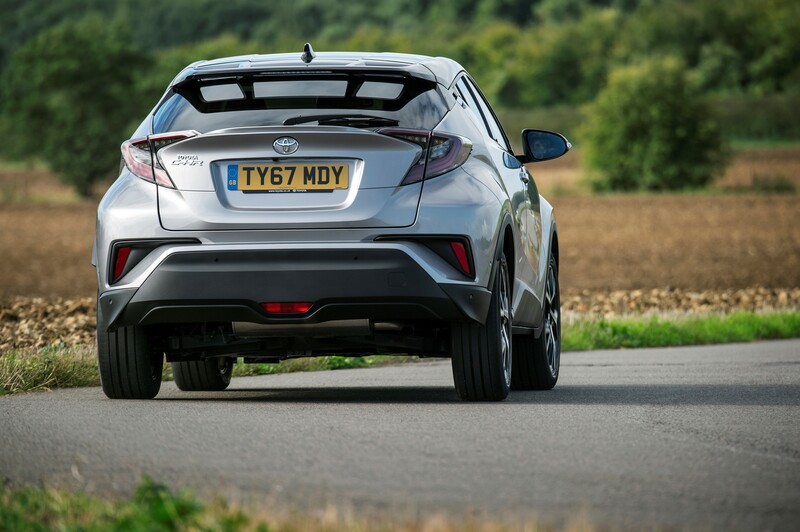 It is the same system that is used in the Prius, although the C-HR’s less aerodynamic body robs some of the efficiency. Officially, the C-HR Hybrid can return 74.3mpg, but we found high 40s to low 50s more realistic, especially on longer trips. Driving style plays a massive part here. If you put the effort in then the car will reward you, but mixing that with a sporty package seems slightly counter-intuitive. The car is refined and quiet on the move, but the hybrid loses efficiency at higher speed and performance is lack lustre. It can accelerate from 0-60mph in 11 seconds, but you better pack some ear plugs as the high-revving engine note is intrusive and becomes quite tiresome after a while. The C-HR’s concept car looks give it significant kerb appeal and, although it won’t suit all tastes, does bring a fresh approach to the sector. 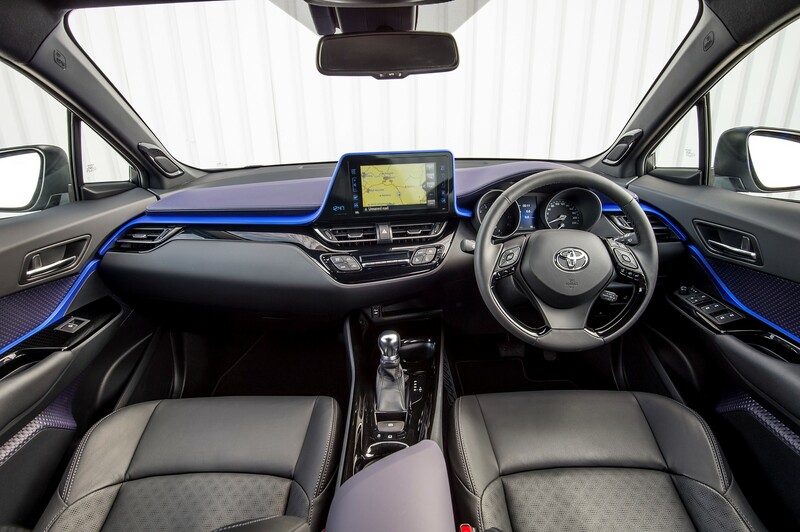 Inside, the C-HR boasts one of the best interiors in Toyota’s line-up. Its contemporary, well laid out and the finish is of the highest order. Where the car’s styling lets it down is in practicality. 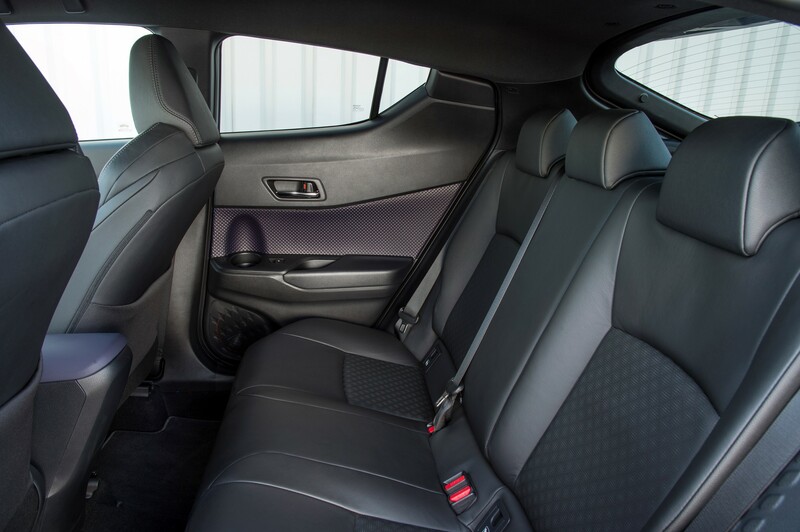 Small SUVs have particular appeal with small families, but with its oddly shaped rear windows the rear seat passenger has nothing to look at but a slab of black plastic. Also, the rear door handles are placed up near the roofline, meaning kids will have no hope of getting on board without assistance. Our other gripe is with the infotainment system. It has a large well-placed display, but really dated graphics and a low resolution, making the whole user experience a bit disappointing. We were pleased to find that the car lives up to its sporty looks when it comes to handling. 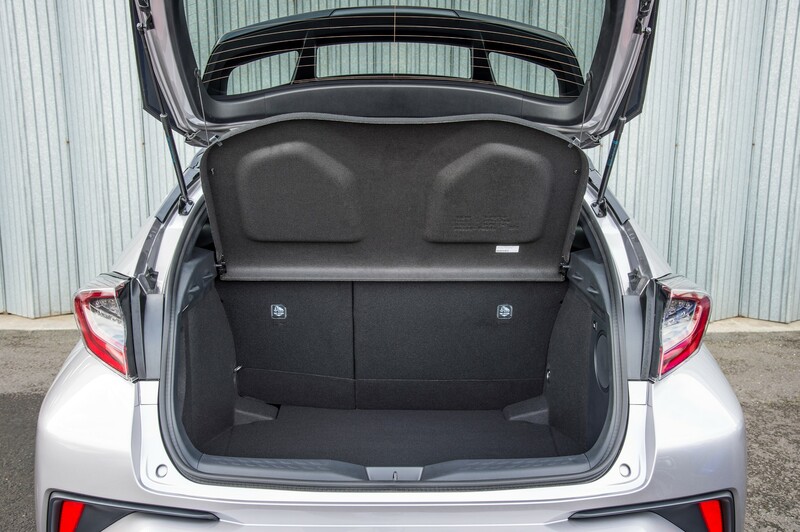 The weight in the chassis helps provide extra grip and gives a feeling of security. In sport mode the steering is well weighted and responsive too. The more conventional Volkswagen T-Roc offers a cheaper all-round package for fleets, with great driveability and practicality for families - but the C-HR is a significant turning point for Toyota in targeting a more youthful market. 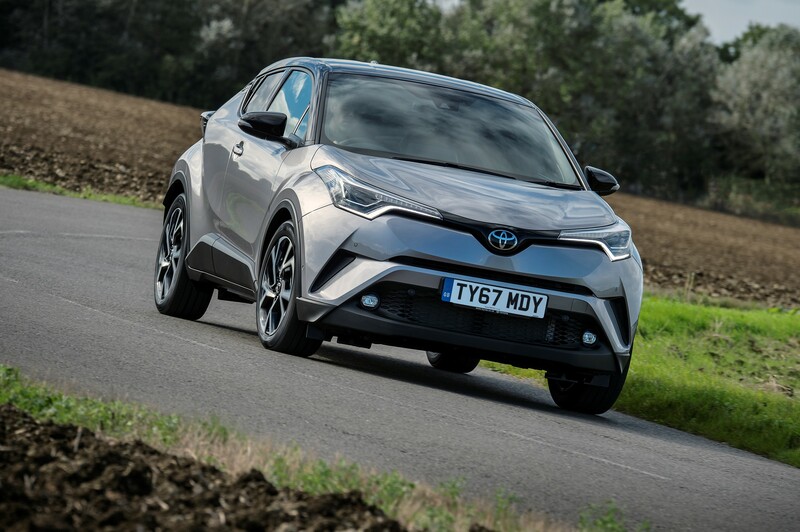 Model tested: Toyota C-HR Hybrid Excel.